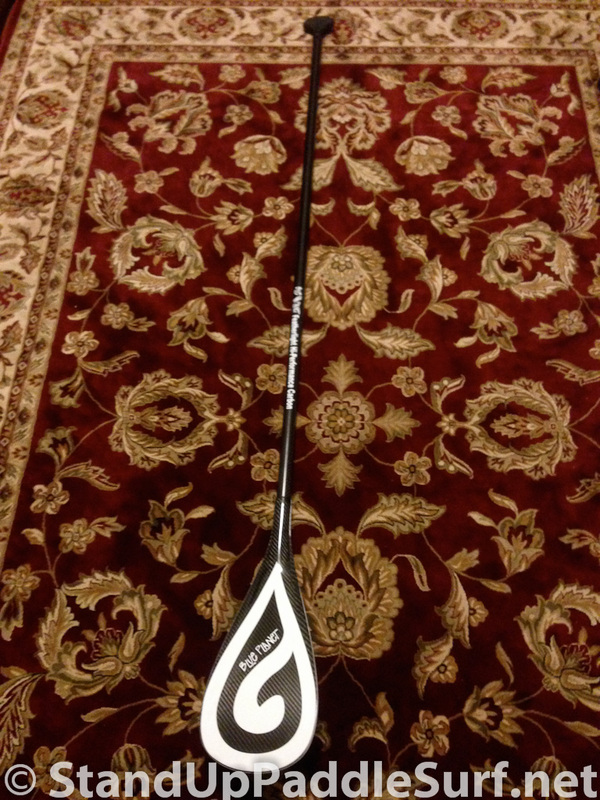 I recently had the chance to try out the Kai Zen Paddle with the 98″ wide blade on a SUP surfing session. The Kai Zen has a super solid catch and it really grips the water, which means you get a lot more paddle power. 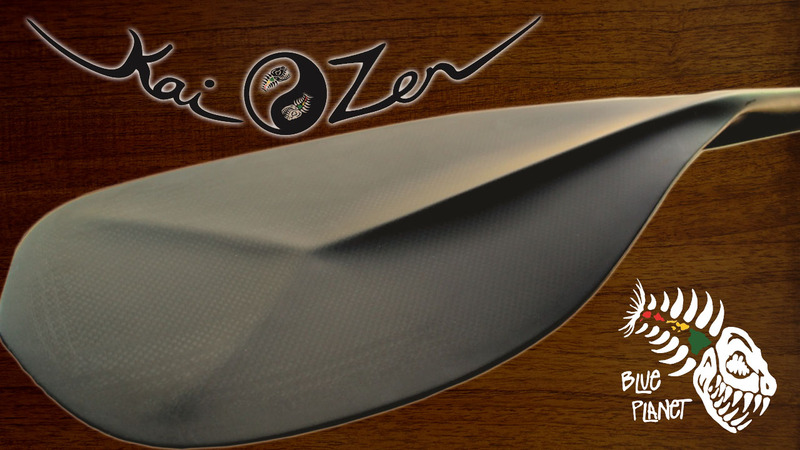 The Blue Planet Kai Zen paddle comes in two blade sizes, 88″ and 98″. I was lucky enough to try both sizes out. I have recently been exploring the world of SUP paddles. There hasn’t been much wind for downwind runs in the past couple months, so tests have been exclusively in the surf. 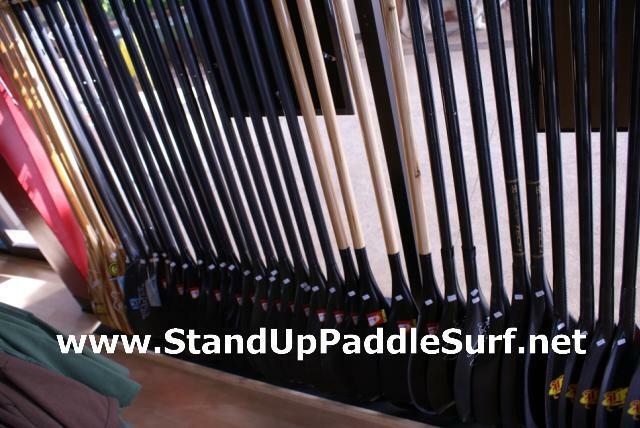 At Blue Planet Surf Shop we are passionate about good stand up paddles. We think a good paddle is just as important (and arguably more important) as a good board. 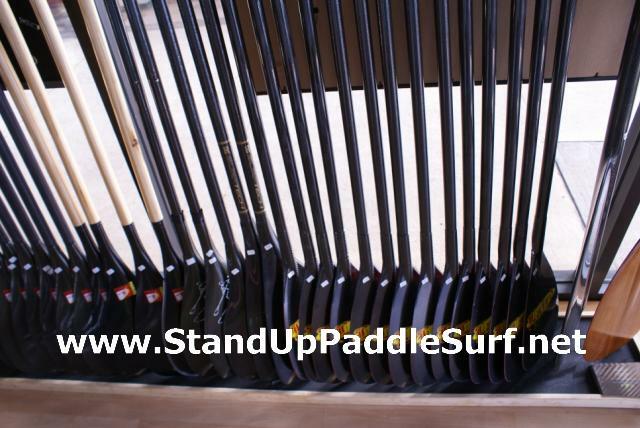 We pride ourselves in having one of the most complete selections of quality stand up paddles you will find anywhere with all the top brands represented as well as some lesser known brands and we can help you choose the best paddle for your needs. Here are some reviews of the new models from some of the brands we carry. Thanks to Evan Leong of standuppaddlesurf.net for shooting the video reviews, presented here in no particular order. With me on this video is Dan Gavere from Werner Paddles who is going to show us the new Carve SUP paddle. Dan shows us how durable this paddle is, by leaning and putting all his weight on it yet it’s still holding up. I don’t think I would allow Dan to do the same thing on my paddles. But it’s amazing how the Carve is able to sustain such pressure and not break. Here is the recent interview I did with Dan Gavere, Werner Paddles’ Sales representative for the southwest of US and Hawaii, on the Werner Nitro SUP paddle. Dan was staying on the North Shore of Oahu and we got a chance to SUP together. We had a blast and then had a filling dinner at Haleiwa Joes. I’ve been using the Werner Nitro since it was a prototype in the middle of 2008. It’s my favorite paddle in the Werner line. I saw the new Werner paddles yesterday on the way to doing a Hawaii Kai to Kaimana (9 mile) downwind run w/ Kainoa and decided to try it out. This is my first real test of Werner SUP paddles. I tried the Spanker version 1 a while back but since then I haven’t given it much thought. I’m pretty familiar with their kayak paddles since I used a number of them when I used to ride my Hunt Johnson 9′ Pocket Rocket surf kayak. I made a paddle for my 5 yr old son by taking a 2 pc C4 Waterman carbon paddle and cutting down the shaft. This also allows me to change out the top part of the shaft so my wife can also use it if she ever decides she will come out with me. Doug Lock of Wet Feet shows us the new Jim Terrell hybrid paddle from Quickblade and talks briefly about the blade’s design. I got 2 Infinity Surf ottertail paddles for my birthday in November and so far have only been able to test it a number of conditions. At first I was leery of this paddle but I have since changed my mind. This is what I’ve been using for the last few weeks. Jeff of Wet Feet takes us through their inventory of paddles from a variety manufacturers namely C4, Surftech, and Quick Blade. He also talks about the materials of each paddles and what they’re good for. Wet Feet offers a wide choice of paddles so there should be something that fits your paddle preferences from them. Watch Jeff explain the different designs and shapes from the T-grip, to the shaft, to the blade. I just put on the C4 grip on my stand up paddle. My paddle is 78″ long and the blade is 8.5″. 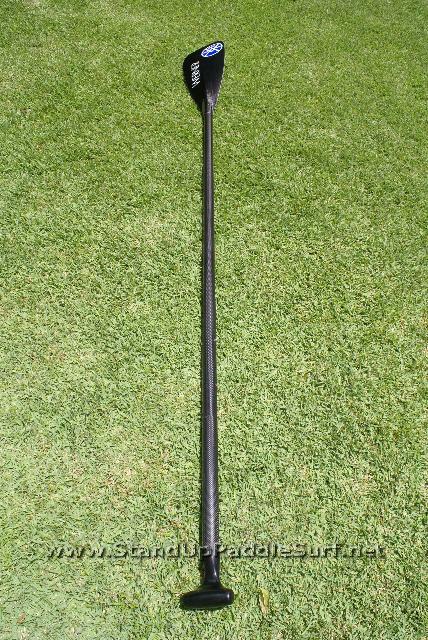 I have another one that’s 80″ long which I use for downwind paddles and when I let my friends use my other boards. I think I installed it wrong but it still works. I don’t know if I like the grip diameter being so big but it does make the paddle easier on my hands and add a lot of extra grip. I like that it’s a bright color which makes it easy to spot in the water if I drop it. The downside is that when it gets dirty it looks really dirty. When I first started stand up paddle surfing I would hit the rails of the stand up board A LOT. I still hit it and have even taken chunks out of the rails. The carbon fiber stand up paddles are strong and easily dent and ding the epoxy boards. My friend’s board looks like a shark ate the rail. It is wasted almost the entire length of the rail. I gotta get a picture to post but I don’t think he’ll like that. 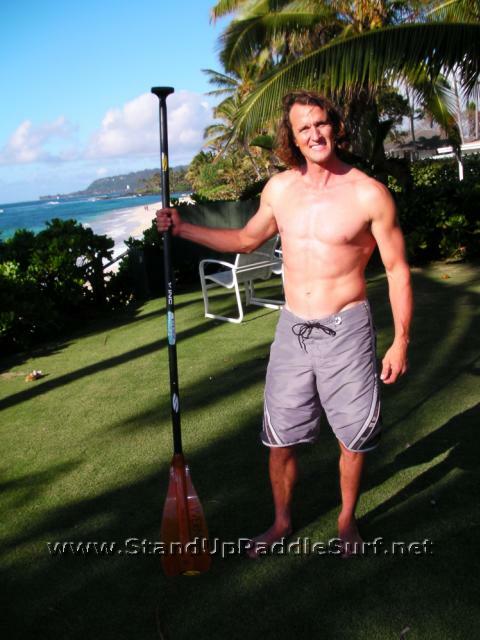 You are currently browsing the Stand Up Paddle Surfing in Hawaii - StandUpPaddleSurf.net weblog archives for the Paddles category.